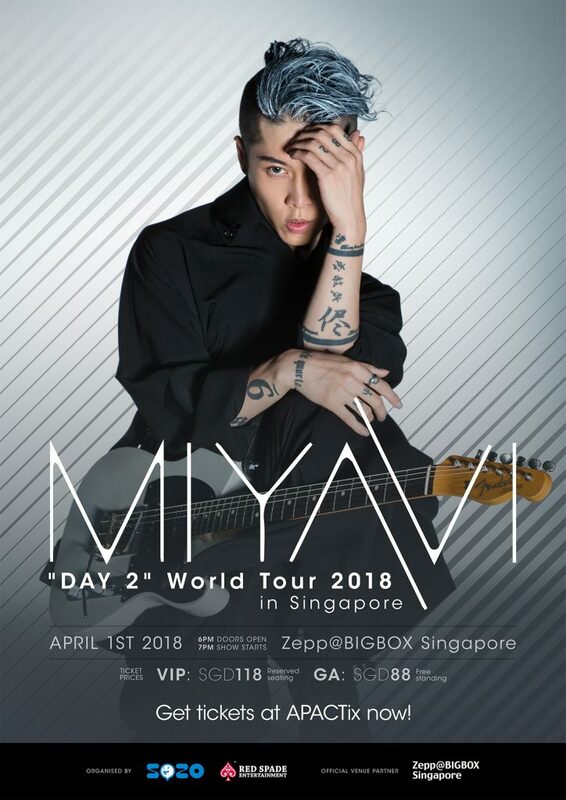 Tickets for MIYAVI “DAY 2” World Tour 2018 in Singapore are on sale now! Limited VIP tickets available! Don’t miss out! !